CA Risk Analytics Network is the payment industry's only real-time card-issuer network that stops card-not-present fraud instantly for its network members. Work for CA Risk Analytics Network? Learning about CA Risk Analytics Network? What Fraud Detection solution do you use? Stripe Radar enables real-time fraud detection through advanced machine learning technology, and allows businesses to effectively combat fraud while adapting to each customer's unique payments profile. Sift is a fraud detection system it has flexible, adaptive, and automated solution thathelps businesses of all sizes detect and prevent fraud, before it hits the bottom line. IBM Trusteer is an advanced endpoint protection solution designed to protect users from financial malware and phishing attacks. Using industry-leading technology, Trusteer Rapport is designed to defend against MitB attacks, remove malware from endpoint devices and protect customers by preventing them from entering phishing sites. Trusteer Rapport offers a broad security solution that can help your organization reduce costs, enhance your fraud detection and prevention, and help to provide a seamless customer experience. Kount Complete is all-in-one fraud prevention software that helps online merchants & retailers stop fraud and increase revenue. DataVisor provides big data security analytics to help protect consumer-facing websites and mobile apps from cyber criminals. Secure Bank is a client-side fraud and attack prevention across sessions, platforms and devices. RiskShield provides a reliable, fast and responsive anti-fraud solution to meet these requirements and protect your organization against financial crime and cyber attacks. SAS Detection and Investigation for Banking provides a single, end-to-end framework for better fraud detection and greater operational efficiency across multiple channels and products. Guardian Analytics is the pioneer of behavioral analytics solutions for fraud detection & AML for financial institutions and enterprise organizations. * We monitor all CA Risk Analytics Network reviews to prevent fraudulent reviews and keep review quality high. We do not post reviews by company employees or direct competitors. Validated reviews require the user to submit a screenshot of the product containing their user ID, in order to verify a user is an actual user of the product. Hi there! 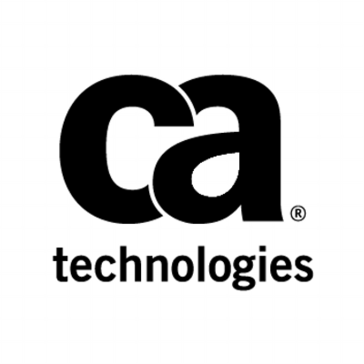 Are you looking to implement a solution like CA Risk Analytics Network?